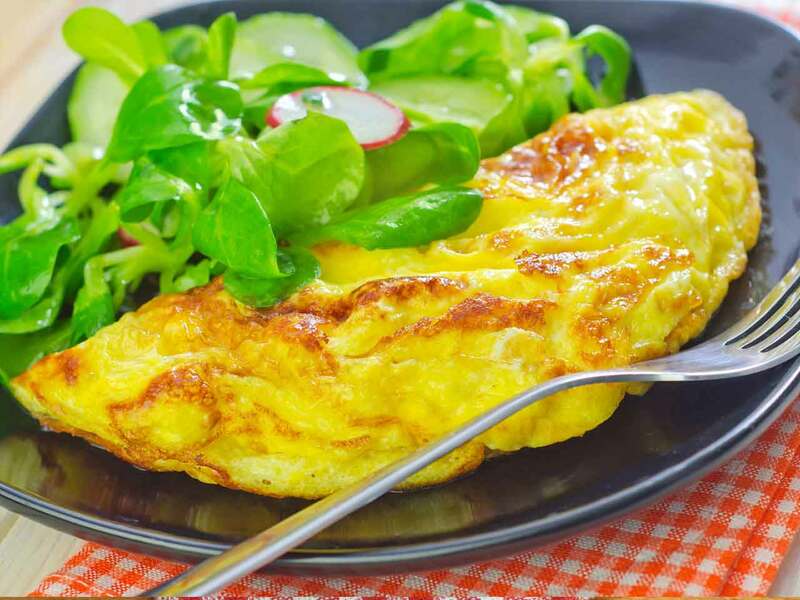 Learning to make both hard-boiled eggs and a basic omelet ensures you will always have a cheap, nutritious option for breakfast, lunch or dinner. To make hard-boiled eggs, place eggs in a pot and cover them with at least an inch of water. Bring the water to a boil and let it boil for one minute. Shut off the heat, cover the pot and let the eggs sit for 10 minutes. Remove the pot from the hot water after 10 minutes and let the eggs cool before trying to peel them. Watch chef Jamie Oliver make the perfect omelet on YouTube; he demonstrates a completely unfussy, fool-proof technique for making a basic cheese omelet. As you master the basics, try tossing some chopped fresh spinach leaves into the center before folding for added nutrition. One of the oldest cooking tools in the kitchen is the cast-iron skillet. These pans are sometimes passed down through generations because of their beauty and usefulness. In the last five years, three new companies have begun to produce cast-iron skillets, promising to make improvements with a combination of handwork and modern technology. Finex, Borough Furnace and Field Company got initial funding on the Kickstarter funding website. Hundreds of small backers will eventually receive pans in return for their financial support. The Finex 10-inch skillet sells for $165; the Borough Furnace model sells for $280, and the Field skillet sells for $100. A well-used, well-seasoned cast-iron skillet is an all-purpose pan. Nonstick to cook eggs, hot to sear anything and useful for roasting, stewing, simmering and baking. The nonstick surface of a cast-iron pan is achieved with natural ingredients like flaxseed oil and lard, rather than synthetic coatings like Teflon. People are willing to pay a hefty premium for these cooking tools because of their craftsmanship. The modern-day skillets share qualities of those made between the 18th and 20th centuries: light and thin with a smooth cooking surface. How about cleaning and seasoning? Skillets of the past had natural coatings formed by cooking with fat, and bonding fat molecules to the metal surface. Use the pan often for projects like frying, cooking and browning. Scrape the cooking surface clean, rinse with hot water, add a drop of soap and put in back on the stove over low heat until dry. Store dry skillets in a cupboard or oven to protect them from dust. Carrots are a kitchen workhorse. They’re second only to onions as one of the most common ingredients in our savory, and occasionally sweet, recipes. They go in our salads, stews and soups. We eat them raw with dip, roast them, or quickly sauté them for dinner. Spiced Carrot Soup with Lime is a recipe that moves away from the traditional, one-dimensional, sweet, thick carrot soup. Using a technique known as tarka in Indian cuisine, cumin and mustard seeds are sizzled in coconut oil, adding extra flavor. Ingredients needed for this creation include coconut oil, medium onions, chopped ginger, minced garlic, turmeric, coriander, cayenne, salt, young carrots, daikon radish, mustard seeds, cumin seeds, serrano pepper, cilantro leaves and lime wedges. This soup may be served hot from the pot for dinner, or it may be served chilled during the day. It is best with young, long and slender carrots, which are considered fresher and tastier than the carrots from jumbo bags. Carrots are a vegetable with many health benefits, including the improvement of vision. Carrots are rich in beta-carotene, which is converted into vitamin A in the liver. Vitamin A is transformed in the retina, to rhodopsin, a purple pigment necessary for night vision. Beta-carotene has also been shown to protect against macular degeneration and senile cataracts. Carrots also help prevent cancer, slow down aging, promote healthier skin, and help prevent infection. Now is a good time of year to enjoy just-harvested new-crop carrots. So let’s get cooking!